Louise Lawler is widely known for photographing various sites related to the distribution of art, such as art galleries, auction houses, private collections, and museums. Works by other artists have provided the subject matter for a number of her pieces, including her large-scale color photograph Bulbs. 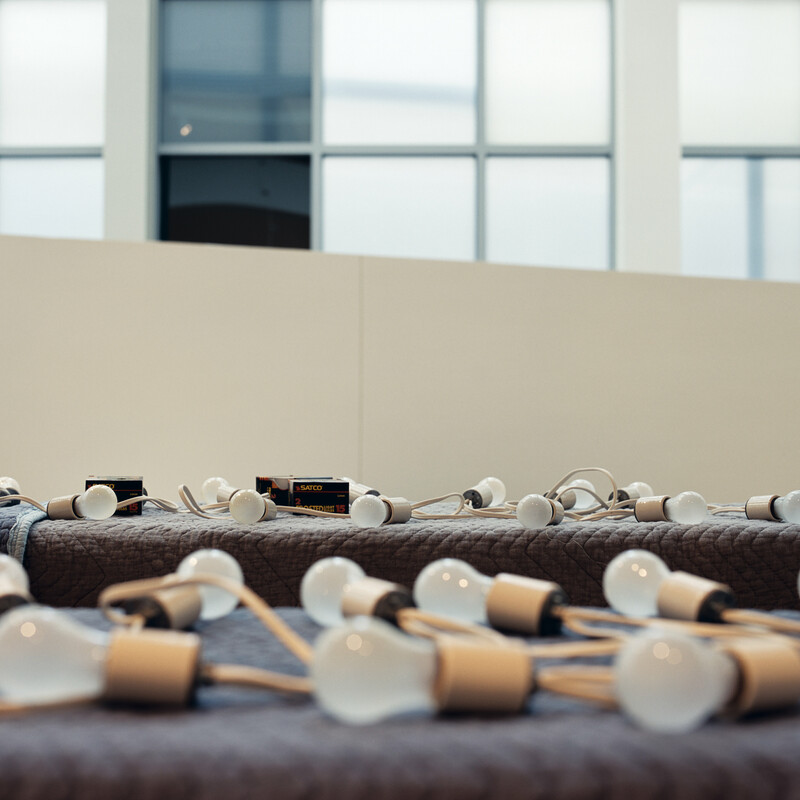 The strings of lightbulbs laid out on packing blankets are a sculpture by Felix Gonzalez-Torres, a friend and colleague of Lawler who died from AIDS-related complications in 1996 and whose work was also featured in Take It or Leave It. Lawler's unusual perspective—roughly at eye level with the lifeless sculpture—creates a composition that recalls a seascape with an endless horizon. "Bulbs." Take It or Leave It: Institution, Image, Ideology Digital Archive. Los Angeles: Hammer Museum, 2017. https://​hammer.ucla.edu/​take-it-or-leave-it/​art/​bulbs/​.